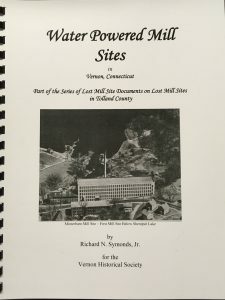 In this detailed examination of over 20 existent and vanished mill sites in Vernon along the Hockanum and Tankerhoosen Rivers, Mr. Symonds provides the history of these mills including photographs of the sites when operating and in their present condition. After World War I ended, communities looked back on searched for ways to honor those who served in the armed forces. The book traces the history of the Tower from the first suggestions for a memorial immediately after the war through planning, groundbreaking in 1937, construction from 1937-1939 and dedication in 1939 with further information about changes in the structure up to the present. 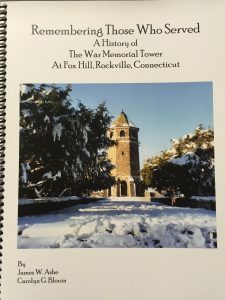 To trace the evolution of a small Connecticut mill village into a leading center for manufacture of woolen cloth, Dr. Abbott blended census data, newspaper articles, personal accounts and other primary sources with explanations of wool textile production techniques. Dr. Abbott's book chronicles the growth of the industry, the contribution of significant individuals, and the nature of the society that evolved in Rockville. Photographs from the collection of the Vernon Historical Society capture the evolution of a diverse urban center from its rural beginnings. The images with text chronicle the transformation of Vernon and its three village centers from the early 19th century to the mid-20th century. Highlights include the development of community life in Rockville as it became an economic and social center for the area. 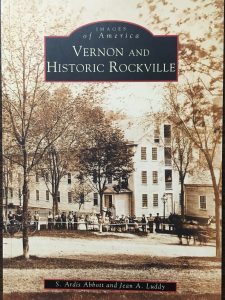 At the close of the 19th century, Vernon was a rural town of family farms while Rockville was a booming textile production center. 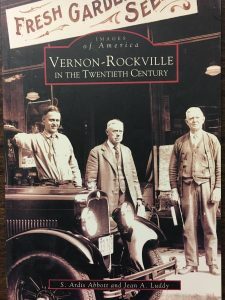 A century later, Vernon had evolved into a suburban community for the Hartford area and the textile industry was long gone from Rockville. Pictures and text reveal the impact of modern inventions and social changes such as suburbanization and urban renewal. 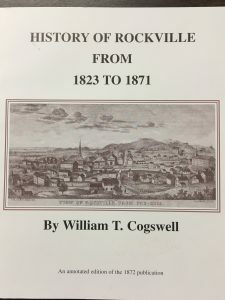 In 1872, William Cogswell published his memoir of early Rockville in the Rockville Journal. Looking back fifty years to the building of the first mill, Cogswell described the growth of the village as woods gave way to mills, stores, and homes. The reprinted text of Cogswell's original history is supplemented with short biographical sketches of early Rockville citizens, maps of described areas, and definitions of manufacturing processes and of words of the times. The materials has been researched by Dr. S. Ardis Abbott, the municipal historian and Jean Luddy, librarian. 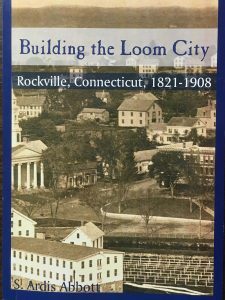 Historic photos of Rockville, along with photographs of Cogswell houses, are included in the book. 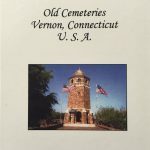 Old Cemeteries, Vernon Connecticut, USA $35. Conceived as an Eagle Scout project, this hardbound book contains information for every gravestone found in the Old Burial Ground on Bamforth Road and South cemetery on Dobson Road. These burial grounds were in use between 1751 and 1908. Each entry contains a color photograph of the stone, the inscription with birth and death data, and the location coordinates for the burial site.